Workplace giving is a program that lets employees make a pre-tax donation o a regular basis to one or more charities. The frequency of donations are usually aligned with your pay cycle. Any employer who has one or more staff may start a workplace giving program. Rosies Oblate Youth Mission Inc. is a deductible gift recipient (DGR) which means that donations over $2 to the charity are gift deductible for taxation purposes. Speak to your payroll department about your employer’s Workplace Giving program. Your workplace may have set guidelines for the program such as a minimum donation amount. Nominate the amount you wish to donate to Rosies. Your donation will be deducted at the time you get paid - if you get paid weekly you will donate weekly. Your employer will facilitate the deduction through their payroll system and will issue you with your tax deductible receipt (usually at the end of the financial year). Your employer will then transfer the donations to Rosies. 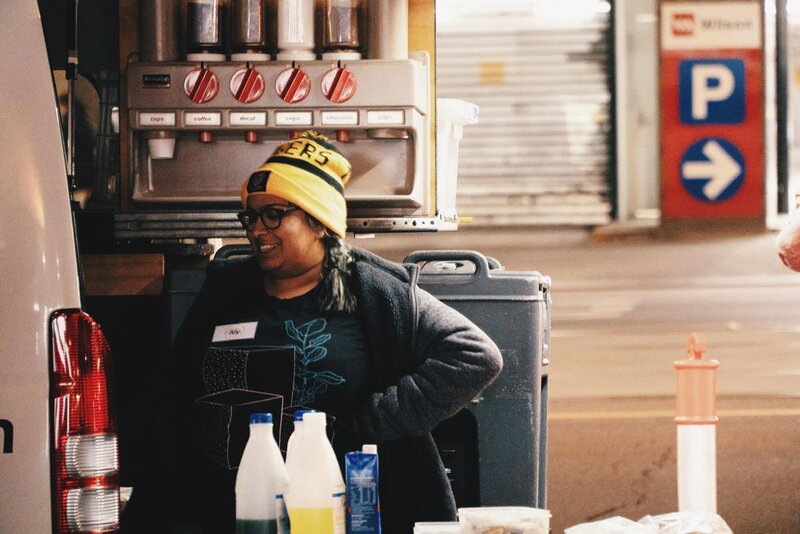 Workplace Giving Workplace Giving provides Rosies with a regular and consistent income to enable our organisation to continue working with and supporting the homeless community of Melbourne. Donations are received in a lump sum, either directly from a company’s payroll system or through a facilitator. Workplace Giving ensures that Rosies incurs little or no administrative costs and your donation goes directly to keeping the van up and running. Rosies does not have to process, or receipt, donations individually, reducing the administration of donations. Contact your HR or payroll department and ask for Rosies Oblate Youth Mission Inc. to be listed as a charity partner. Spread the word, tell your workmates about Rosies and invite them to get involved!